Crate diggers everywhere know the thrill of the hunt and the resulting dopamine surge when you score the one you've spent years searching for. Every trip to Goodwill starts with the promise that you just might find something amazing for a mere $.99. But what if finding those white whales meant more than a payout on Discogs? What if it meant life or death? 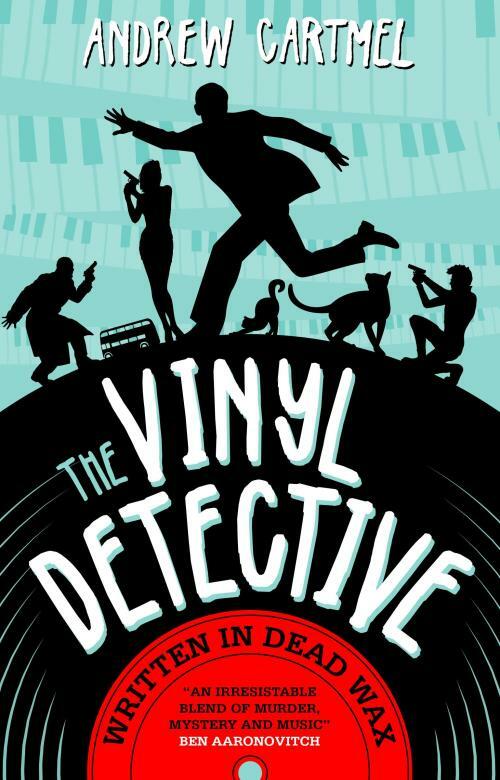 "Written in Dead Wax" is the first in a series by Andrew Cartmel that introduces us to The Vinyl Detective. Dead Wax transforms a mere vinyl collector into a superhero. One that solves problems, avoids getting shot, and gets all the girls. A James Bond if James Bond spent more time tinkering with tube amps than playing baccarat. Set in London, a mysterious woman approaches our vintage hero with a proposition: find this very rare piece of wax and reap a very large finders fee. The fictional record label, Hathor Records, issued 14 albums and mysteriously shut down. It's that 14th and final issue that an unknown buyer wants and is willing to pay an untold amount of money to obtain. But there's someone else that wants it too, and is seemingly one step ahead. And then there's the body count. Along the way, the detective runs into all sorts of struggles, just like the problems of real life collectors. Represses, charity shop mold, and waiting for the record fair to open spoil the thrill of the hunt on the page and in real life. It's clear that Cartmel is a vinyl lover in his own right, and vinyl lovers are in good hands. Who else would understand the need to use a vacuum record cleaner over a Spin Clean? If you've got any summertime plans near a beach or by the pool, slip a copy of Dead Wax in your bag. It'll keep the vinyl addict in you satisfied when the record stores are closed.